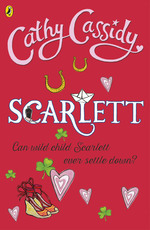 Scarlett has got herself in trouble so often; her Mum’s no longer believes her promises. Sent off to stay with Dad, the message is behave or else! Can Scarlett mend her ways or will she die of boredom? Perhaps gorgeous and mysterious local boy Kian can supply some of the answers . . . I LOVE this book…..They say that you shouldn’t judge by appearances….And it’s true! I love this book always puts me in a better mood when I’m feeling down…. can we please have a second carry on book? 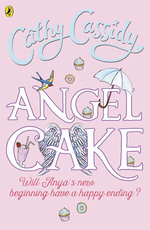 OMG, I rlly wanna read this, I’ve literally read all the Cathy Cassidy books including the chocolate box girls ( my favourite books ) so I can’t wait to read it ! You are an AMAZING writer Cathy Cassidy !!! !